Boring music is boring indeed, even if you wrapped it with attractive cover. Such thought that if you go to a music hall once or twice, it doesn't entice new listener to appreciate to such music and to come back to listen and become a music lover for a long term. 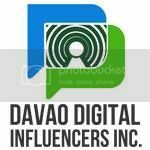 It is so hard to please Millennials, they are more open and more authentic than the previous generations. They seek for AUTHENTICITY in everything they deal with, whether it is food, fashion, games and/or with their music genre in particular. What I love with Gabrielle Gross music is not how to sell her music, but how she play it for the betterment of her passion. The act of improving herself is the key to have a successful career. Her name sounds like she's a foreigner; her looks can make you think she's international act on vacation in the Philippines. 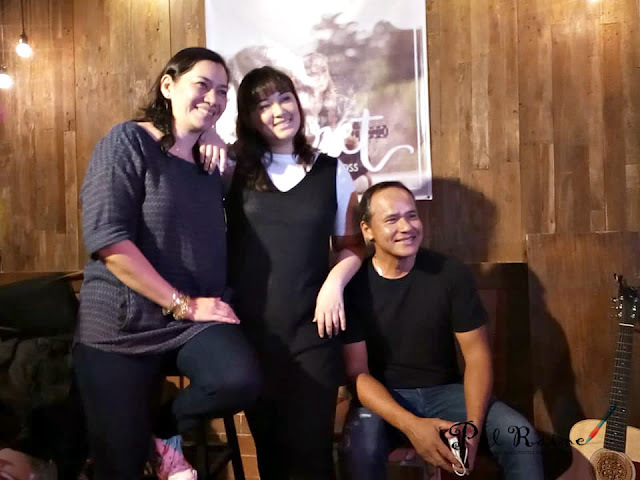 But honestly, Gabrielle Gross is a daughter of Emy Gross (a Davaoeña) and singer-composer Chad Borja, very much a Filipina in the strictest sense of the world. Blessed with a professional singer's bloodline, beams with true grit and charm that will urge you to listen to her voice over and over. She wanted to make a name of her own and not be compared with her father's professional singing background. On that note, Ivory Music one of the biggest independent record companies in the Philippines has signed her in and launched the brand music and star aura she has into the mainstream. 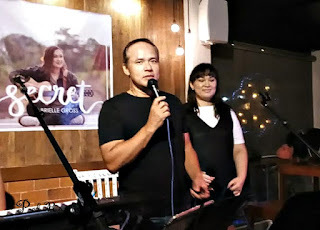 Manage by Studio 1 Artists Management & Events Corporation, Gabrielle Gross released her debut digital single that she herself wrote called "A Song Inspired By You". SECRET the second single composed by Jimmy Bondoc together with American composer Judy Klass, talks about voicing out being one's self while trying to fit in. Well, this kind of song really apply with the "HUGOT" lines with millennials. Her sounds and echoes is more matured that she owes it to her influences like Tori Kelly, Pentatonix, Michael Jackson, Beyonce, Indie Arie, Allen Stone, Kehlani, Clean Bandit, Jess Glynne, and Ariana Grande. It's a complex bunch that goes to show her depth as a music talent. 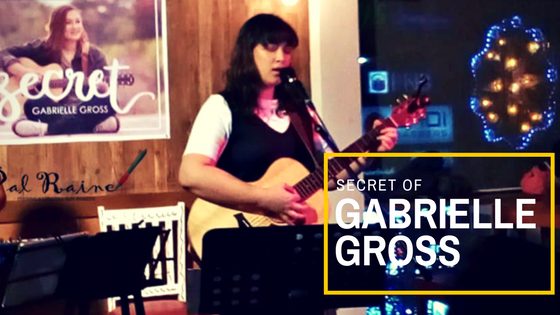 For a sixteen years old girl who delivers her take of sweet, laid back music that seamlessly fuses pop, acoustic, R&B and jazz that only few of her age can truly pull off, this is a great challenge for Gabrielle Gross on how she can deliver her SECRET to the public. How they would love and like it...how they will embrace the type of music that she have. Now, don't get me wrong, I listen to various kinds of music. But rock is like popular music's home base. Everyone, even those who aren't rock fans, know at least one rock song. And majority of the genres no doubt have their origins in some form of rock. Plus, it's flexible! So many sub genres of rock exists, as well as fusion genres to suit any mood. While, like I said before, I listen to different kinds of music, my early years were heavily shaped by influential artists inclined with my parents musical interests. The Carpenters in particular is like home to me - though soft rock, easy listening, and adult contemporary music genre ( and I say that it greatly influences me in so many ways in my growing years). And I am glad to hear the music of Gabrielle Gross. I didn't expect that at her age she can deliver such music that takes the most skill and deliver it with creativity. A lot of her age don't accept this genre of music yet because it is so different from everything else. But that's what MUSIC all about, so I think time will come that it will grow in popularity, they will embrace the kind of music Gabrielle had --- cool styles, such as chill, more relaxing and quiet, and more meaningful!